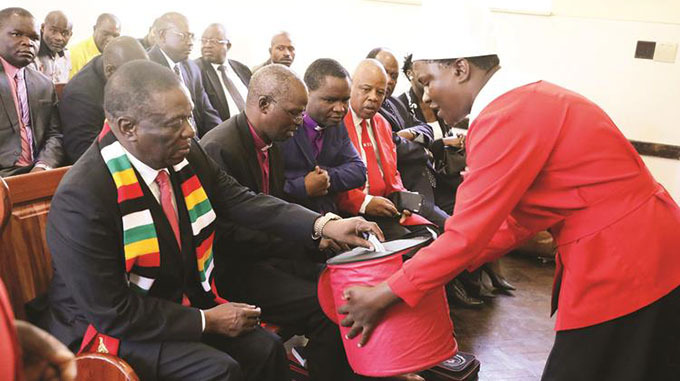 President Mnangagwa (wearing scarf) with Methodist Church in Zimbabwe presiding Bishop Solomon Zwana (second from left) and District Bishop Kuda Paradza. 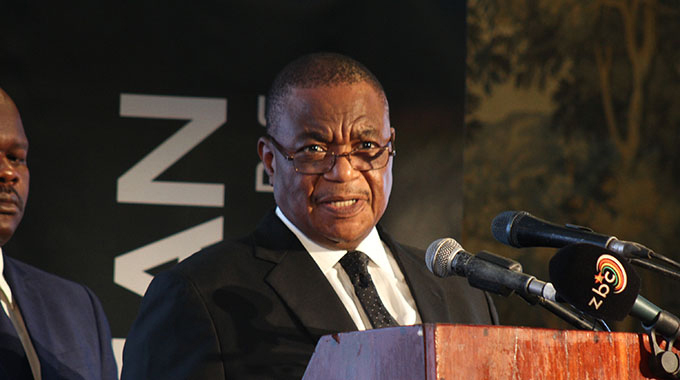 Across town, Vice President Constantino Chiwenga attended an exceptional prayer service for victims of the cyclone at St Gerard’s Catholic Church in Greystone Park. “As people, we do not know anything. We only get to know something after it would have occurred, but God knows everything, even things to come in future. Job lost all his children and wealth, but he never turned away from God. “We should accept this, although it is difficult, even for me. Sometimes we ask God why he allows such things to happen and also if he still exists. “We cannot direct God, but we just accept what he has done. Let us pray and seek God when we still can as disaster can come anytime and in different forms. We are all sinners and we should all go to Jesus when we are still alive,” he said. “The British government, even if we disagree on some issues, sent a message. Prince Charles sent a message together with his wife to console us. 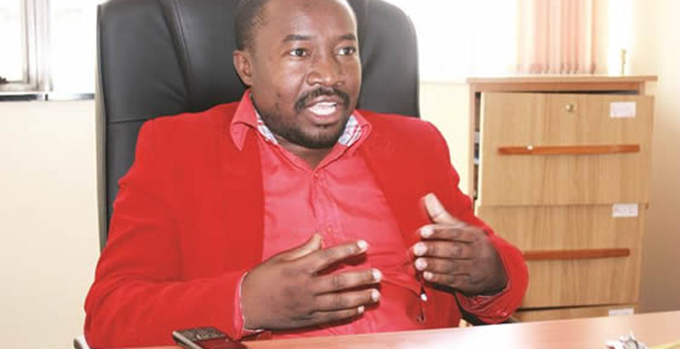 “Local companies, churches, organisations and individuals in Zimbabwe have also sent and are still sending goods to help the affected people in the affected areas,” he said. 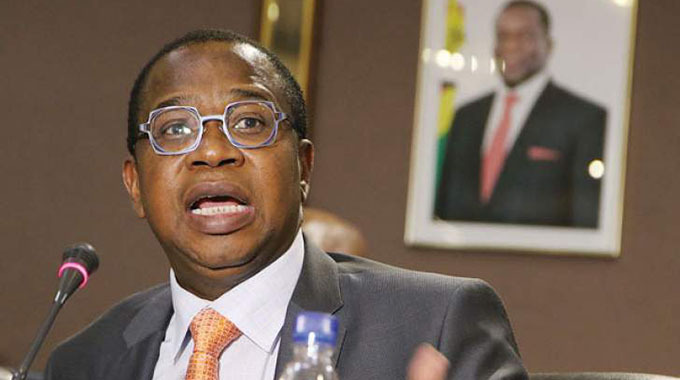 “Some citizens were swept away to Mozambique and because of the decomposing state of their bodies, we have agreed that they be buried in Mozambique. Some could have been washed away to the ocean,” he said. “The victims have received food, clothing drugs and all the material things, but the Church should assist them to come to terms with the grief, so that they do not collapse inside. “People are trying to come to terms with the grief and anger. They are asking God why this happened and why he remained silent and never alerted them. Some are even asking is there God while others ask God why people have perished through floods when He had made a covenant that He will not destroy humanity through floods. “We do not have answers. Today is an important day as it allows healing. We cannot continue as if nothing as happened. We have come together to express our grief and God will heal us of the trauma. The church should help us to pick up the broken pieces,” he said. Speaking to The Herald after the church service, VP Chiwenga made emotional remarks about yesterday’s service.